I’ve been working with a spiritual teacher who zinged me with a “Bam!” moment a couple of weeks ago. I’d been processing some charged emotions around a woman who’d interrupted a sacred meditation circle my husband and I were facilitating. It had infuriated me and felt to be – in the words of my late step-mother – bad behavior. If I continued to judge this woman, I’d been assuming some level of responsibility for her karma. Wow, no thanks, I’m good! While it is important to be able to assess a situation, relationship, belief system, place, career, etc… and know whether it feels right or not for you personally, pure judgment for the sake of judgment is a trap of the ego. Darkness lives in hurtful division. The more we judge, the more we divide. I was recently chatting with our daughter about the charged topic of gender fluidity. Without getting into the nitty gritty, I so honored her viewpoint. We need to respect people for who they are and not try to change them. When there’s disagreement, we are invited to have a conversation. A conversation with the intention of healthy, constructive and informative dialogue. A sharing, if you will. A sharing that’s simply about learning more about the other person. Not trying to change their minds, or how they believe, but to expand your own experience of life. We can never change another person’s mind…they are the only ones who have the ability to do that. Plus…we have no idea what karmic “stuff” they’re working through and the choices/behaviors that are entangled in that. Most (maybe all?) of us live in a box of our own design and construction. We live in this box, because it feels safe. We believe we are protected. Those things outside the box come to feel dangerous. They threaten what we’ve built and who we have become. If we are going to create change, if we are going to heal karma, we need to look outside that box. 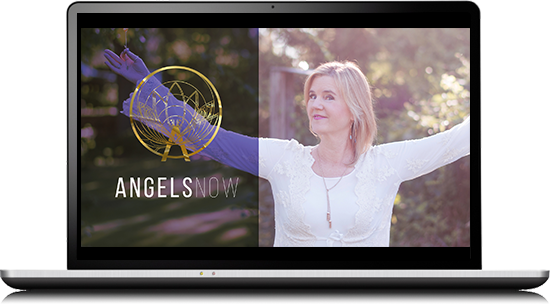 That doesn’t mean we necessarily need to redesign our box and the belief system that created it, but we are called by our angels to join them with a higher perspective, a more open heart and cultivate a mindset of compassion.